There are few sights more comforting than a roaring wood burning fireplace; and with over 60 years’ experience in manufacturing stoves and fireplaces for the harshest of Artic winters, Dovre produces a range of wood burning fireplaces that are perfect for those days when all you want to do is settle down with a cup of cocoa and your favourite book. Want to know more? Find out the reasons why you should choose a Dovre wood burning fireplace! All Dovre wood burning fireplaces are made with cast iron, a material traditionally used for fires and stoves due to the way it diffuses heat over a period of time, providing maximum radiated heat. Dovre’s wood burning fireplaces are extremely high-performing, with heat outputs of up to 11kW, making them suitable for heating a variety of spaces. Dovre’s wood burning fireplaces generate all the atmosphere of a welcoming wood burning fire but the use of glass fronts results in high efficiencies of up to 80%. All of Dovre’s wood burning fireplaces are CE certified, meaning each one has been independently tested to exacting European standards for both heating efficiency and emissions. Burning wood not only produces a beautiful flame, but when used properly, it is also a renewable resource, particularly if derived from plantations and cultivated woodland. The logs you burn should be well-seasoned, usually between one and two years, and have a moisture content below 20%. When you burn these logs, the amount of carbon released into the atmosphere is roughly the same as is absorbed by the tree during its lifetime, resulting in a carbon-neutral energy source. 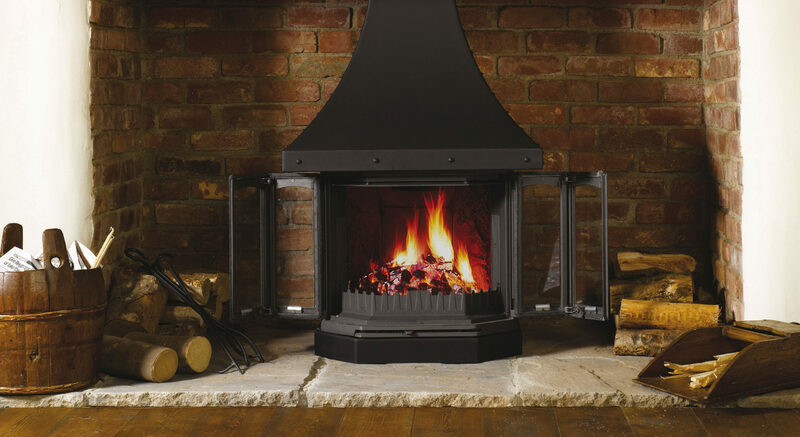 There are a variety of styles available in Dovre’s range of wood burning fireplaces. Whether you desire rustic charm or chic and contemporary, you can find a fireplace for you. 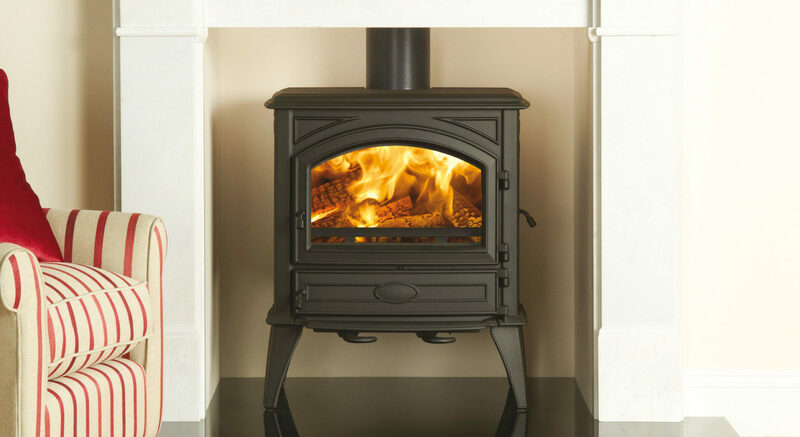 However, the options don’t end when you select your fire, many of the models are available either as built-in fireplaces or with an optional plinth, canopy and side panels to suit a smaller inglenook. This provides flexibility of install to suit your home and style. 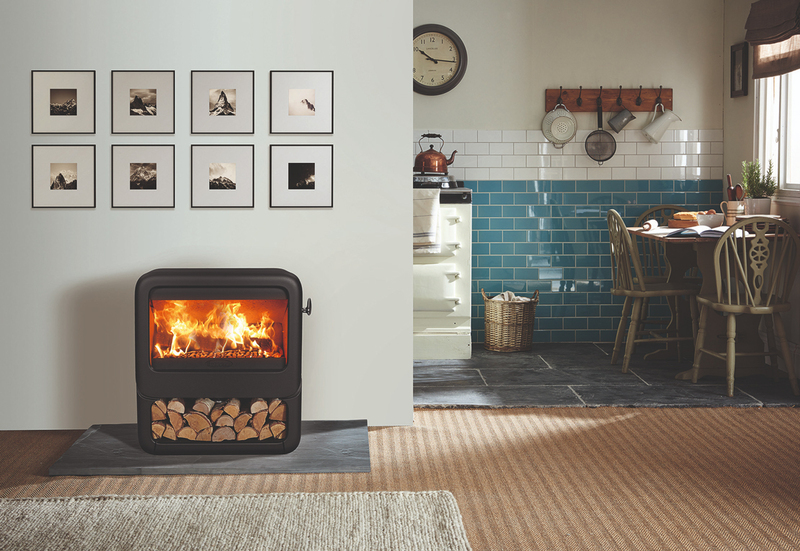 Dovre also offers the 2520 Cassette Fire, which is suitable for wood burning and can come with either a 3 or 4-sided frame. This elegant fire has a simple design and can heat your room with a gentle stream of warm convected air or use integral electric fans to provide powerful thermostatically-controlled heat. Dovre’s wood burning fireplaces benefit from a variety of innovative technologies. The majority of fires in the range employ both Cleanburn and Airwash technology to ensure you get the best use of your wood burning fireplace possible. Cleanburn is a system by which pre-heated air is introduced into the firebox, allowing the combustion of unburned hydrocarbons, therefore providing a cleaner burn; whilst Airwash draws in air from outside the fire to wash over the glass, keeping the glass clearer for longer. Dovre wood burning fireplaces are much more efficient than a standard open fireplace when operated with the doors closed. However, closed doors don’t mean missing out on a stunning view of the flames. Each Dovre Wood Burning Fireplace offers large glass windows showing the flames to their best possible advantage. The 2400CB Wood Burning Fireplace is also available with the Panorama door, providing a completely uninterrupted view of the flames. All of these wood burning fireplaces offer fantastic efficiencies, heat output, design options and flame pictures, as well as all the benefits of wood burning, leaving you looking forward to winter! If you would like to find out more about Dovre’s wood burning fireplaces, contact your local Dovre retailer today. 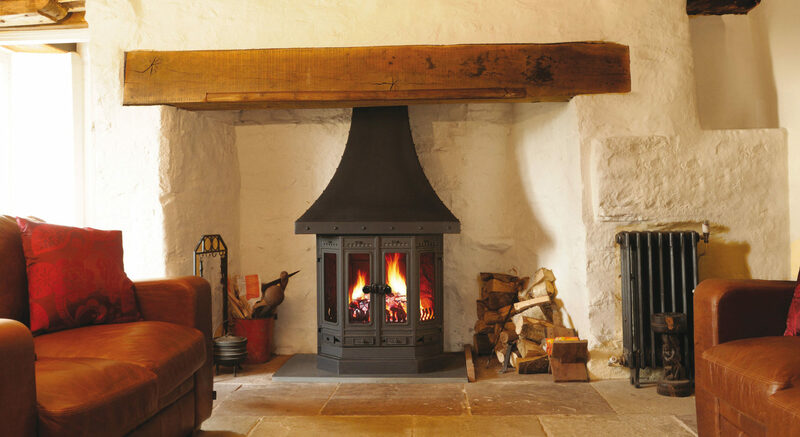 Should you choose a wood burning or multi-fuel stove?